Samsung has teased once again with a cryptic invite to an Amsterdam-based event in March where its 2012 line-up will be announced. We all know that the Samsung Galaxy S3 will not be appearing at MWC 2012 in Barcelona, but our ears have pricked up at the March 15 date and Samsung line-up note on the invite. The Galaxy S3 is seen to be Samsung's flagship phone of the year and its highly anticipated arrival gets us all hot and bothered here at TechRadar. Are we getting a bit carried away with this invite? Maybe. The invite has not been issued via Samsung's global communication team, but instead by the Benelux division. The invite also does not mention that it will be Samsung's phone line-up being announced at the event, so it could be for a different product category. 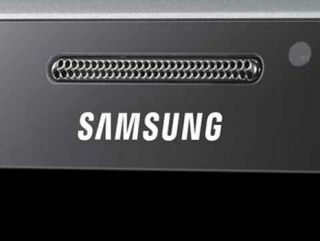 The Samsung Galaxy S3 will be launched in the first half of 2012, but it looks like we've still got a wait for an official date. We expect the Galaxy S3 to be a tasty offering – packing a quad-core processor, a high-spec camera, a HD screen and running Ice Cream Sandwich. Keep on top of all the rumours with our Samsung Galaxy S3: what you need to know article.